A collection of eight new Holmes mysteries that also tie together into one unified story. 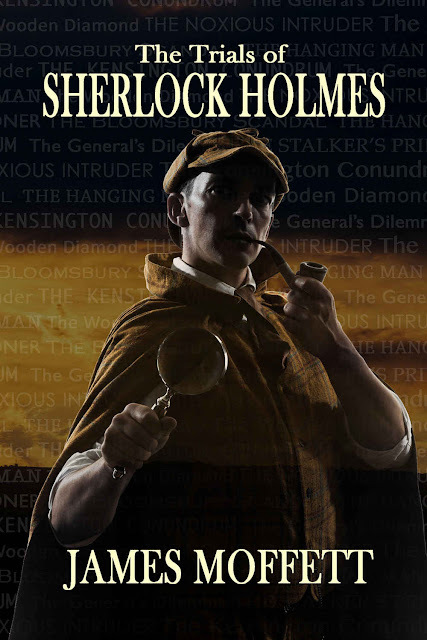 It is a cold London morning in 1887, and the discovery of a dead man in an abandoned house plunges Sherlock Holmes and Dr John Watson into a series of eight trying cases that will test the friendship of the two companions and threaten the safety of the country itself. From a staged murder to an impossible suicide, the theft of a national document to the disappearance of an entire family, London's foremost consulting detective and his faithful companion must seek out the clues and venture into the very heart of each mystery. All the while a sinister force, lurking amid the busy streets of London, stalks their every case, testing their own mental and physical prowess; ultimately they require the assistance of their closest allies, including Mycroft Holmes and the unsophisticated Inspectors Gregson and Lestrade. Will Holmes and Watson be able to avert the approaching threat that appears to be vengefully heading straight for them?